MBABANE , Apr 9 2013 (IPS) - For more than a decade after 1992, when Swazi gold miner Benson Maseko, 50, fell ill with chest pains and a nagging cough, he did not seek treatment. Because of his illness, Maseko was retrenched without benefits from his job at a mine in Johannesburg, South Africa. And when he returned to his home in Mahlangatsha, a small village on the outskirts of Swaziland’s commercial hub, Manzini, he chose to pursue traditional healing for his ailment instead of going to a doctor. “I only went to hospital in 2005 where I was diagnosed with and treated for tuberculosis (TB),” he told IPS. It was thanks to Médecins Sans Frontières, an international NGO, that Maseko was able to make the monthly trips to hospital. They provided him with the transport fees of about 5.50 dollars and food rations. But after he ended his six-month treatment, he relapsed twice. “(Then) a year after completing treatment again, I fell sick again,” said Maseko. The father of five is also HIV-positive, and his recurring TB baffled health workers because he was on antiretroviral therapy. But, he explained, when he told health workers that he used to work in the mines, everything about his illness made sense to them. “I was then diagnosed with MDR-TB (multidrug-resistant TB),” he said. He has since successfully completed his treatment in January and is scheduled for a check up in April. 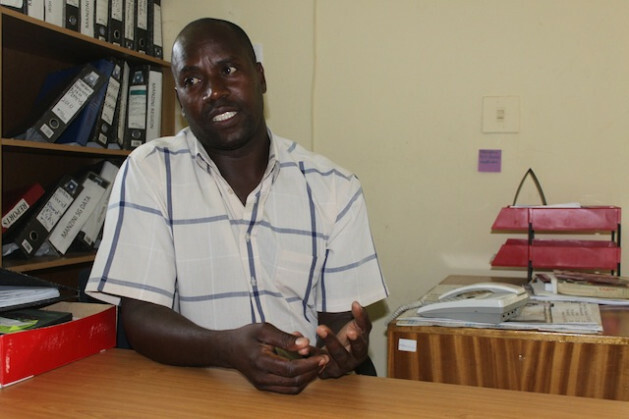 According to Dr. Samson Haumba, the executive director at University Research Co., LLC (URC), an NGO working across the globe and in Swaziland where it provides technical support on HIV and TB, MDR-TB is very common among mine workers. Since the beginning of April, URC, in partnership with the Swaziland Migrant and Mineworkers Association (SWAMMIWA), have begun a nationwide registration of ex-mine workers and their families. In addition, they are also testing them for TB and referring them for treatment. “We used to go underground without any masks," Benson Maseko, 50, who was diagnosed with multidrug-resistant TB. This southern African nation has no database for mine workers, who first started going to South Africa to work on the mines there in the 1920s. But the Ministry of Labour and Social Security estimates the figure to be around 100,000. Haumba said that identifying miners in their communities would help them “get the disease” before it spreads further among communities. “The treatment defaulting rate is also very high because the miners are scared of taking time off to get their medication, as they fear getting fired because they are the breadwinners at home,” he explained. It is a prevalent issue not only in Swaziland, but also in the entire region. Southern African Development Community (SADC) heads of state signed the SADC Declaration on TB in the Mining Sector in 2012. Swaziland’s King Mswati III was among the signatories. According to a February World Health Organization report, Africa has overtaken Asia with the highest TB death toll of 600,000 people in 2011. The organisation said that in 2011, 1.5 million people died from TB, and of those cases over 95 percent were from low- and middle-income countries. Haumba said that a common disease found among miners was silicosis, a respiratory disease resulting from the inhalation of silica dust from gold. “Silicosis weakens the pulmonary system such that it is easy to get TB,” he said. “That’s why TB is very common among mine workers.” It is also because they work in an enclosed underground area where air circulation is inadequate, Haumba added. Maseko said that the miners he had worked with did not have masks to protect themselves from the dust. Many ex-mine workers are suffering with TB as a result, but the only difference between them and Maseko is that they do not live to tell their tale, said SWAMMIWA secretary general Vama Jele. “Mine workers are suffering from lung diseases because of the dust they inhale (working on) the mines in South Africa,” Jele told IPS. South African Minister of Health Dr. Aaron Motsoaledi agreed. “Mine workers come from the whole sub-region to our mines to catch TB and HIV and take it back to their families and communities,” he said. Currently 160 miners and their families from four communities in southern Swaziland, including those who have already succumbed to TB, have been registered with the two-year URC/ SWAMMIWA programme. Only 42 percent of the registered miners are still alive and of these 15 percent are infected with TB, URC nurse coordinator Nokuthula Mdluli told IPS. “It’s important to register even the deceased because we want to screen their families for TB and refer them for treatment if necessary,” said Mdluli. Development partners have committed 120 million dollars towards the fight against the co-epidemic in the region, and health leaders are racing against time to at least halve the number of HIV- and TB-related deaths.